Energy Casino: EXCLUSIVE 15 No Deposit Spins Bonus! 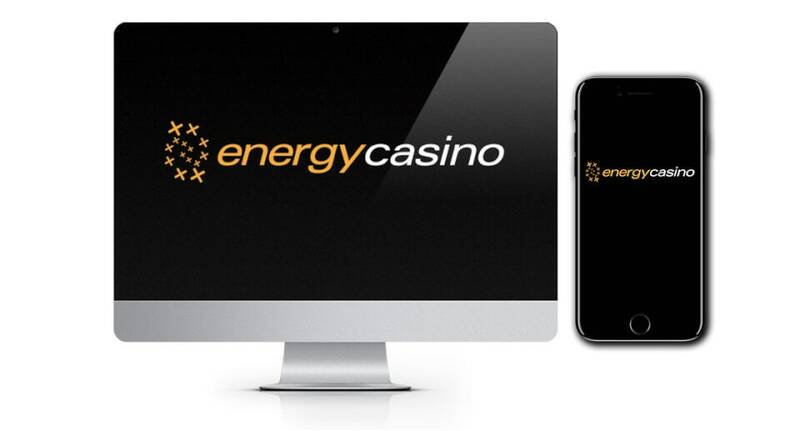 Energy Casino launched in 2013 and are quickly becoming a firm favourite amongst online gamers. They have been building a strong fan base thanks to their collection of beloved real-life slot games that you won’t find in many online casinos. All the featured games are completely instant play so you can play straight through your browser. EnergyCasino are also compatible with mobile play. Energy Casino have gone down the route of featuring games from several software providers. In their case they’ve chosen well in the form of NetEnt, Microgaming, Novomatic and Oryx Gaming. Novomatic produce some of our absolute favourite land based slots, but you don’t find their games everywhere so it’s fantastic to be able to choose from such a wide selection as well as huge titles from NetEnt and Microgaming. They hold player security in the highest regard and are fully licensed and regulated by the UK Gambling Commission and the Malta Lotteries and Gaming Authority. They employ the latest SSL encryption technology, which is the same security a bank would use so you know you’re in safe hands. NetEnt – Jack and the Beanstalk, Gonzo’s Quest, Twin Spin, Starburst, Dead or Alive, Jack Hammer 2, Neon Staxx, Sparks and Aloha Cluster Pays! Microgaming – Avalon II, Mermaid’s Millions, Thunderstruck II, Game of Thrones, Mega Moolah, Break Da Bank, Immortal Romance and The Dark Knight! Novomatic – Book of Ra, Dolphin’s Pearl, Ramses II, Cleopatra, Pharaoh’s Tomb and Dazzling Diamonds! Whilst the focus appears to be on slots, they also feature a fairly decent choice of table games including French and European rules roulette, classic blackjack, casino hold’em poker and TXS Hold’em. There’s also 7 types of video poker to choose from. There’s no live games featured at this casino. Before we sign up to a new casino we always like to suss out their customer service. We’ll send a few queries their way and make sure we get prompt, polite and helpful replies back. In the case of EnergyCasino they did just that. Whilst they’re not available round the clock you can reach someone instantly via live chat between 9am-midnight weekdays and 1pm-9pm on weekends. They also provide a handy contact form, email address, telephone support and postal address, all of which you can find under their help section. Their loyalty scheme basically dishes out EnergyPoints every time you place a wager, the amount will vary depending on what game you are playing but as a guide you’ll earn 2 points for every £10 wagered on popular video slot Book of Ra. The EnergyPoints are basically credit that you can either exchange for cash or spend in the EnergyShop. 100 points is equivalent to £1 so you can do the math! Fancy a PlayStation 4, it’ll cost you a mere 48,000 points! You can fully immerse yourself in the EnergyCasino community with their regular slots tournaments. There’s heaps of opportunities to win fantastic prizes and of course free spins! They also run regular promotions such as reload bonuses and double loyalty points. Check out their promotions and tournaments sections for more info. Follow our exclusive link below which will take you to the promotion landing page to register a new account! Sign up and follow the on screen instructions to register your account. EnergySpins are only available for the following games: Fairytale Legends: Red Riding Hood, Starburst™, Mega Fortune™, Motörhead Video Slot™, Aloha! Cluster Pays!™, Guns N’ Roses™. We are totally hooked on the fun and energetic (!!) vibe at EnergyCasino, they’ve really thought about the player experience and created a truly user friendly casino.